big, huge choruses, shredding leads, melodic hooks and a charm that metalheads instantly recognize and welcome. As usual, Kai Hansen and company honor their musical past by referencing early heavy metal, (as always) Judas Priest, the New Wave of British Heavy Metal, Kai’s old band Helloween, previous Gamma Ray albums, even 80s pop, and the 70s metal and rock of Kai’s youth. For instance, certain segments, sometimes a phrase, maybe a chorus, perhaps a hook, or it may be a Halfordian scream that will recall metal’s history. Kai has been making music since the 1970s, mind you. 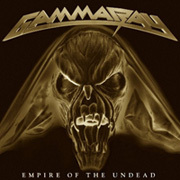 Thus, to listen to Gamma Ray is to indulge; it’s no secret. On occasion, when I read Gamma Ray reviews I find that certain listeners have complained that 2001’s “No World Order!” or that 2010’s “To the Metal!” was just too much referencing the past. 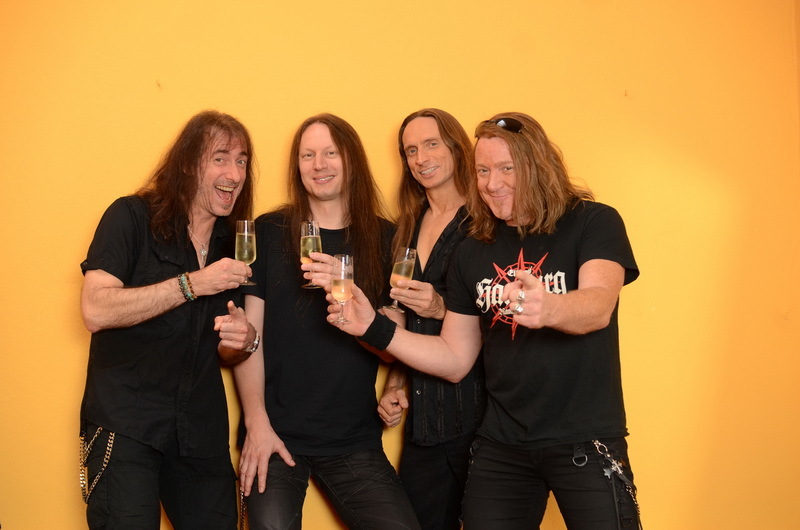 If that’s the case for some people, then they will be sadly disappointed again, while the Gamma Ray faithful will be thrilled once more with a catchy, rocking, headbanging solid album to add to their library. A word about details: I don’t remember Gamma Ray cursing too much to appear “tough” or “angry” before (maybe I’m misremembering? ), but they certainly do that this time.